Check out what models William Aliotti regularly packs into his bag for travel. Willy has switched from his rocket red airbrushes into the dark side. Apparently Stretch didn’t get the memo when he decided to surprise Willy with this neon twinnie! 2win double wing swallow – 5’6″ x 20.35″ x 2.65″ vol. ??? i really enjoy more on reef breaks and points. 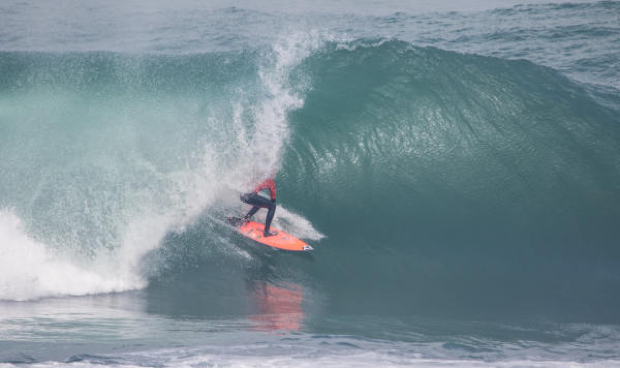 i can surf the 2×4 6’0″ on an everyday basis in the canaries from slabs to fun powerful reefs. i surf the mr. buzz everyday also when the waves are small, or fun little waves where my chick surfs. also in points but work good in little slabs. same for the twins. the 6’0″ can feel a bit stiff at the drop sometimes. works a lot better in glassy/offshore conditions. but, is the fastest board ever! feels really confident. goes good for turn. (stretch should stop bothering putting the 5 fins set up…heheheh) if i had to choose one board to go on trip will be this one. really really user friendly. goes really good with those fins, got lots of flow. sometimes feels a bit short on the back hand. perfect for summertime but hold the rail in points also. good for carving. the twin is a little devil. it’s crazy fast! holds the rail in turn but also super loose in turn. rare for a twin but good on the backhand. check the video below to see Sancho laying rail on his 5’6″ pugged 2win. no. riding those boards is like riding something different which makes it cool. it’s a different vibe. i have your boards that i have been riding for the last 3 years. no other boards last that long! i’d put the factory in europe so it will be easier for me to get boards 🙂 then i could bug stretch all the time in person and talk to him about fins. through the looking glass. sancho fins his 2×4 round pin getting the hero shot. “You Only Tell the Truth in the Dark” documents a journey through the Chilean landscape with William Aliotti and Sebastien Zanella of Desillusion Magazine. This video is a somber and introspective look at what drives us into exploring the unknown. It reflects the urgency in each of us to go out of our comfort zone, whether that’s paddling into massive slabs while undergunned or traveling in a camper van for a month with no access to your electronic devices. What we make of the moment defines who we are. We often can’t see well when heading into the fog. In this case, Willy clearly found his way. Nixon | You only tell the truth in the dark: William Aliotti from NIXON Europe on Vimeo. will you wake up in your own skin? Or will you become someone else? 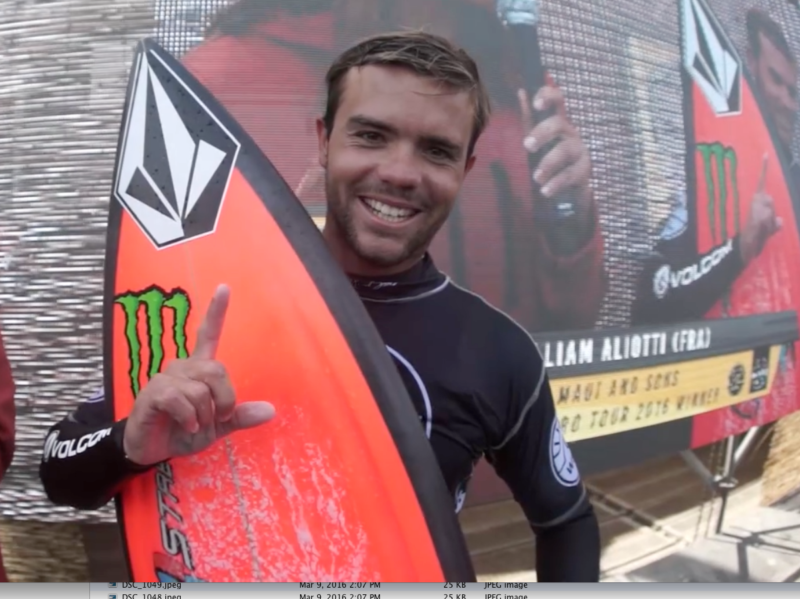 William Aliotti wins in Chile! 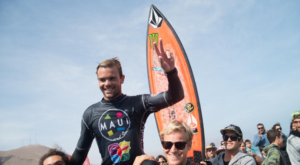 The fast flying, slab hunting frenchman capped off his Chile sojourn with a win at the 2016 Arica Pro presented by Maui and Sons. William Aliotti Arica Final from Stretch Boards on Vimeo. Willy was knifing frontside bombs on his CFT medium 5’10” x 18.187″ x 2.187″ Lil Buddy model. His final heat against friend and competitor Dean Bowen found him scoring a perfect 10 which sealed the deal and gave an unforgettable end to his to Chilean road trip adventure! 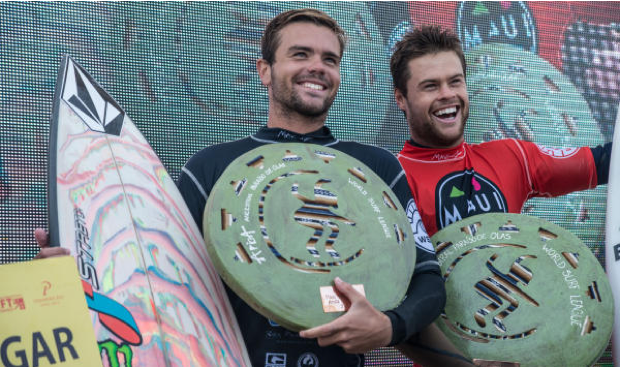 William Aliotti and Dean Bowen atop the podium in Arica, Chile.